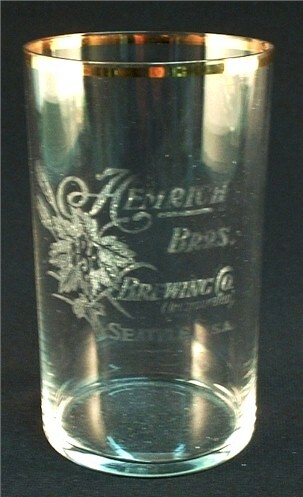 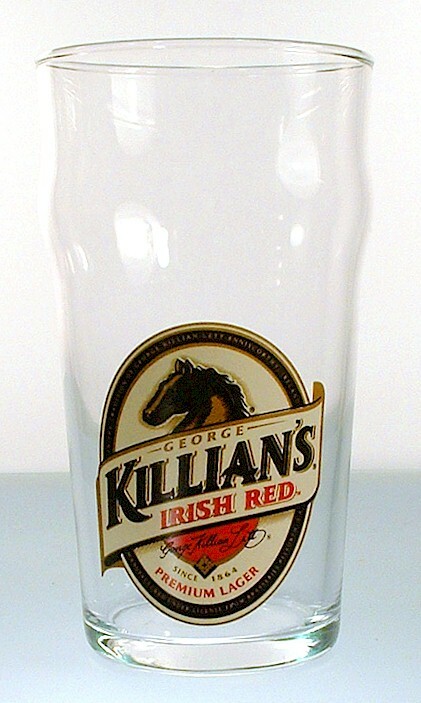 Pre-prohibition glasses include both etched and embossed. 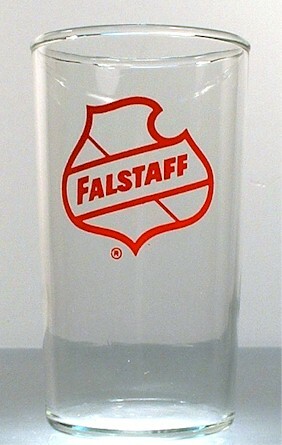 The post-prohibition glasses are	enameled (or ACL) and were mostly "liberated" from local taverns, saloons, or bars. 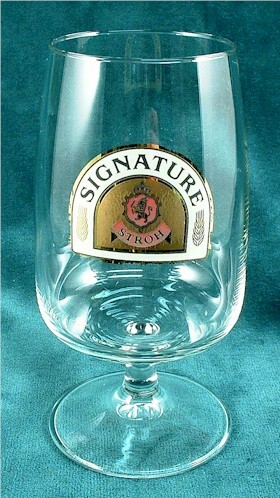 The styles include: barrel, sham, pilsner, tulip, hourglass, shell, goblet and mug. 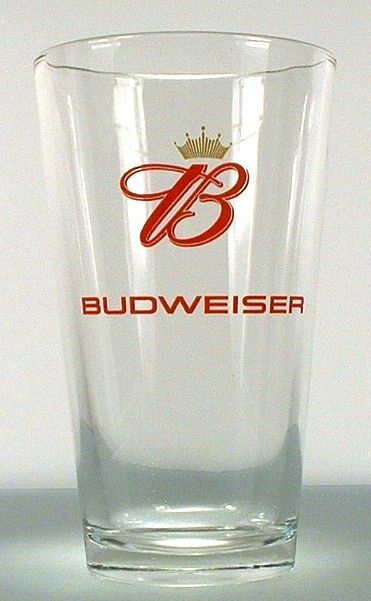 NOTE: While some items may be in a new or unused condition, most are slightly used and in excellent condition - unless stated otherwise. 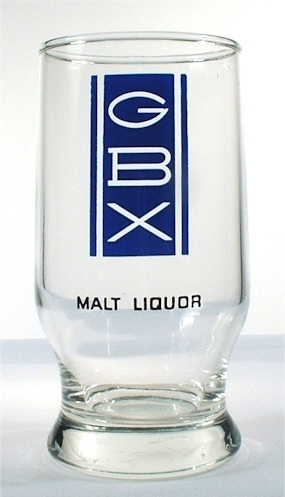 Also, these are primarily collectible glasses and quantities on hand are noted (in this brown text) - there is usually only the single example available. 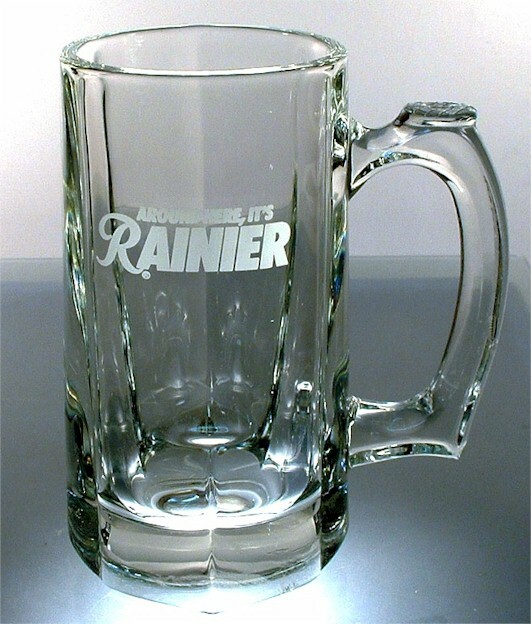 Jump to: PRE-PRO - ETCHED SHELLS - ETCHED BARRELS - ACME - OLYMPIA - RAINIER & SICK - FALSTAFF - SCHLITZ - HEIDELBERG - COORS - BUDWEISER - MICHELOB - HAMMS - MILLER - WEINHARD - STROH'S and ASSORTED STYLES. 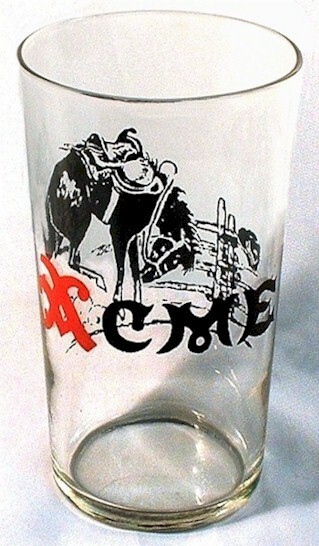 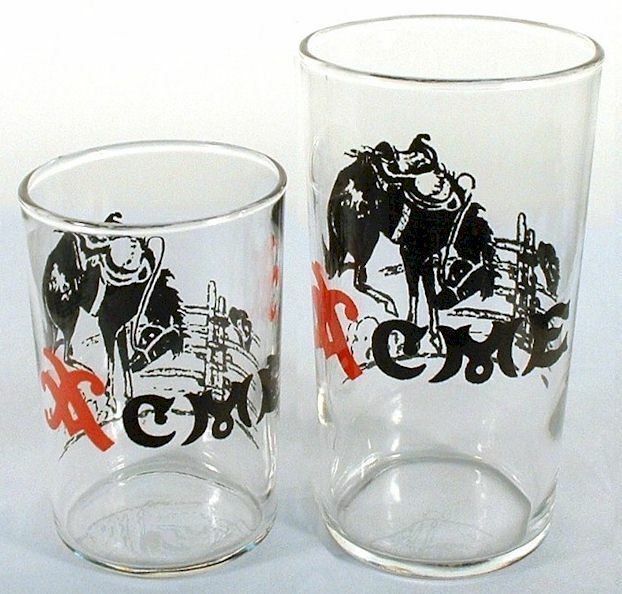 "Acme" on the front and bucking bronco on the reverse of two, shell style glasses, one measures 3½" tall, and the other is 4¾" tall. 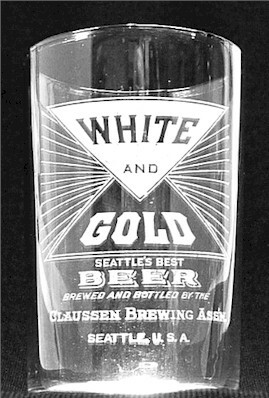 They are from 1938 and the image from the '38 ad is the same as on the back of the glass. 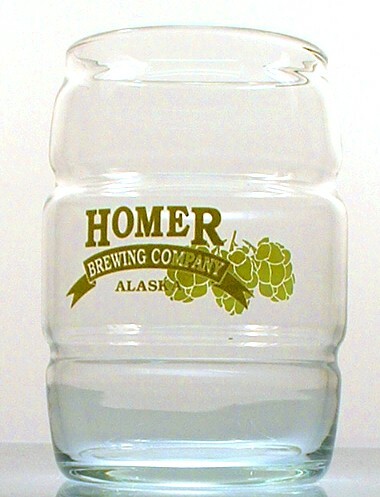 Examples of this smaller version are rarely seen, and was referred to as a "short beer" or a "chaser." 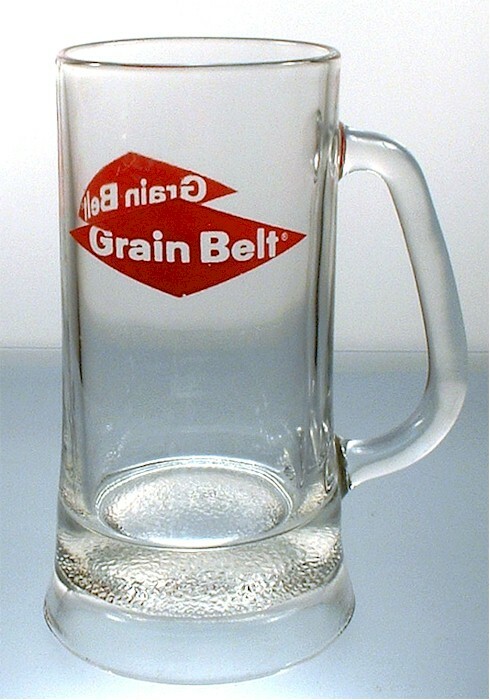 $75/pr.